We have created what we feel to be the most comprehensive daily fantasy sports glossary in town. Give us a shout if you feel we missed any important terms. GPP: Guaranteed prize pool tournament. Otherwise known as a Guaranteed tournament. In this tournament game, the contest is guaranteed to run regardless of the number of entrants in the game. The prize pool is guaranteed. Cash Game: The term "cash game" refers to a tournament with less risk, where usually half of the field come away with winnings. (50/50 and Double-ups) are referred to as cash games. 50/50: A contest in which the top 50% of the field come away with winnings, and the bottom 50% lose their entry fee. This is the safest contest in the industry. League: A league is a smaller tournament, which can hover around 4-100 contestents. They can also be created by a user. Steps: A steps style contest is over a span of days, where x amount of the field qualifies to move on. A bar is set, and users that finish above the target line go onto the next day. It is also referred to as a survivor tournament. Qualifier: Daily Fantasy Sites put out big tournaments to travel and compete against outher qualified contestents. These contests are how you qualify for those "World Baseball Championships"
$/Point: Points per dollar, you are looking to maximize your potential score by grabbing players who produce more points at a lower cost. Cafe Value: Takes into account a player's salary, projection and site postion requirements to give you a comparable value among all players. Bankroll: The amount of money a player has in their balances at daily fantasy sites. Total alloted money available to a player. Rake: Percentage of the entry fees the daily fantasy operator keeps. Similar to a rake at a casino. Rake varies from site to site. Freeroll: A free contest or contest with no entry fee. Prizes can be cash prizes, qualifyting tickets, or nothing. H2H: Head to Head matchup with one other opponent. It's a one on one contest. Ceiling: Refers to the perceived ceiling or top score or potential of a player. IE - a player with a high ceiling has potential to score relatively more than other players. Floor: Refers to the perceived bottom score or lowest potential of a player score. A player with a high floor is more desirable. Volatility: The variation of outcomes possible from a player. IE - a player who is highly volatile could be extremely good or extremely bad as the range of possible outcomes sits at both extremes. Multiplier: A contest that pays out a certain multiplier of your buy-in (For instance, a $2 buy-in 5X contest will pay $10 to winners). Can also be a description of anticipated production for a player based on their salary. Overlay: A contest with a guaranteed prize pool that has does not fill, thus increasing your odds of cashing. Stack: Rostering multiple players from the same team together to provide yourself with higher upside/correlation between plays. 4 max on FanDuel, 6 max on DraftKings (MLB). Buy In (Entry fee): The amount paid for each entry in a given contest. Pending Bonus: Additional amount of money added by site (generally a percentage of deposit), which is added to your account as you enter contests. Money Balance: Your current balance on said DFS site. Fish: A new player who can be easily exploited, especially in cash games. Shark: An experienced player who is very tough to defeat, especially in H2H or cash games. Grinder: An experienced DFS player who plays significant volume across many different sports. Late Swap: The ability to swap out players until their team's individual start time. Colossus: Daily Fantasy Cafe's Lineup Optimizer! Vegas Total: The total of runs (MLB) or points (NBA/NFL) that Vegas expects both teams to score (combined). Opp Team Run Total: The number of runs (over/under) that Vegas anticipates the opposing team to score (based on matchup). Team Total: A certain team's expected scoring output for a given game. O/U: The total of runs (MLB) or points (NBA/NFL) that Vegas expects both teams to score. DFS players utilize this line to determine how high or low scoring a game is expected to be. Salary: The amount of your salary cap that each individual player will cost to roster. Salary Cap: The total amount of salary you have to spend in order to create your ideal DFS roster. Roster: All of the players you have chosen for your lineup or team. Always a set amount, which varies from site to site. Projection: Anticipated point output for an idividual player. Moneyline: How big of a favorite a specific team is over their opponent. +/- 100 is even odds. The higher the negative number becomes, the bigger favorite that team is in Vegas. Punt: A cheap player used as a filler on a roster. Generally a batter who is hitting high in the order, a platoon player, or a player filling in due to injury. Hook: Playing multiple players from the same team together. For instance, "hooking" the 3-4 hitters in a given lineup. Wrap-around: A "stack" of players that includes at least one player from the bottom of the order and at least one player from the top of the order (i.e. 8, 9, 1, 2). Boom-or-bust player: A player who is inconsistent, and provides substantial upside, yet a very low floor. These types of players are perfect for GPP contests. Generally power hitters in MLB who hit a lot of home runs, but also strike out a lot. Platoon player: A player who is used only in certain matchups, such as when the team is facing a left-handed pitcher. Generally a player who has significantly better/worse splits against a certain handedness of pitcher. Platoon split: A player who holds the advantage over a pitcher/batter due to their handedness (Righty/Lefty or vice versa). (+EV): A move that will provide you with value or profit over the course of time. For instance, focusing on contests with overlay. Fade: The word fade refers to a daily fantasy player not choosing a player for their lineups. Often due to being different, salary, or matchup. Contrarian: Contrarian in the daily fantasy world means to go against the grain, trying to be different. This is sometimes useful in bigger tournaments. Regression: When a player has been playing well, but advanced stats have shown he was due to come back down to earth. Usually referred to with pitchers. Tilt: Being angry or frustrated due to strategic decisions one made, or not seeing the big picture. Lock: A "lock" is a label given to a player that has a high liklihood of performing well and is therefore a "lock" in a lineup. "Lock" can also refer to the function on DFC tools that locks a player into a lineup. When locked a player will be displayed in a generated lineup or generated stack. Game Theory: Decision making concepts where the outcomes of others have an influence. If the tournament field is going to take Clayton Kershaw, and you are looking for an edge, you are forced to make a decision to be different or the same. Do you take the best possible matchup every time, or try and look to be different? Sub-optimal: This goes hand-in-hand with game theory. Sometimes players will have a less than optimal matchup, but the thought of being different will lead us to the player. These sub-optimal plays lead to against the grain lineups. Positional Advantage: Each day is different, but certain positions will have a weaker selection than others. You can get an advantage by choosing heavier value plays in those positions, and paying up for the stronger positions. This gives you an advantage by narrowing down the ugly shortstop position, or shooting guard position. Spread: A line set by Vegas that determines how many points a team is favored by. 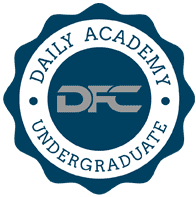 DFC: Abbreviation for Daily Fantasy Cafe. Targets: Number of times a player is targeted with a pass in a game. Opp YPG Allowed: Yards per game an opponent allows on average. IE - if Opp YPG Allowed is 280 yards, the opponent allows 280 yards per game to offenses. This number is primarily displayed as an average over a set number of games or duration of time. Opp TDPG Allowed: Touchdowns per game an opponent allows on average. IE - if Opp TDPG Allowed is 1.8, the opponent allows 1.8 touchdowns per game to offenses. This number is primarily displayed as an average over a set number of games or duration of time. wOBA: Weighted on base average. ISO: Isolated powers and is measured by subtracting batting average from slugging percentage. Opp Team Run Total: The gambling total for runs scored for a team, often referred to as opponent team over/under total as well. Park Factor: Not all ballparks play the same, and park factors indicate whether one is pitcher-friendly, hitter-friendly or neutral. They are set to 100 in most cases with 100 representing a neutral park (whether that be for homers, run scoring or other things). Everything above or below 100 is a percentage point better or worse than neutral for that particular occurence. Using an example, a park with a left-handed batter park factor of 120 for homers results in homers from left-handed batters 20% more than at a neutral ballpark. FIP/xFIP: Fielding Independent Pitching and a variation of that which normalizes home run rate. Meant to measure a pitcher's true skill level, and a better estimator of future performance than ERA. FB%: Fly-ball percentage, the percentage of times a player hits or pitches resulting in fly-balls. LD%: Line drive percentage, the percentage of times a player hits or pitches resulting in line drives. Platoon Advantage: Platoon advantage refers to a left or right-handed bat, who hits the opposite handedness of a pitcher very well. IE A right-handed batter has the platoon advantage against the left-handed pitcher. K-Rate: A percentage showing the amount of time a hitter or pitcher strike out. Swinging Strike %: The percentage of which a pitcher generates a swinging strike. Reverse Split: Reverse split is when a right-handed or left-handed batter hit the same handedness of the pitcher well. IE Yasiel Puig hits right-handed pitching better, despite hitting from the right side. Switch-Hitter: A hitter that can hit both left-handed and right-handed. Gascan: A truly awful pitcher, and one to target heavily when building MLB lineups. A gascan usually creates stackworthy options. Ace: A team's top pitcher. Bullpen: A group of relievers that get called in after a starting pitcher is done for the day. Contact Pitcher: A pitcher who does not generate swinging strikes, nor strikes out a ton of batters. They often generate hits and runs for opposing batters. DH: Designated hitter - A hitter who bats in place of the pitcher in the American League. Quality Start: A pitching line that goes at least six innings, and allows no more than three earned runs. RBI: Run batted in. When a hitter drives in a run, this is the stat in which it refers to. Proximity to Hole: The average distance the ball comes to rest from the hole (in feet) after the players approach shot. Going for the Green %: The % of times a player goes for the green on the first shot of a par 4, or the second shot of a par 5.